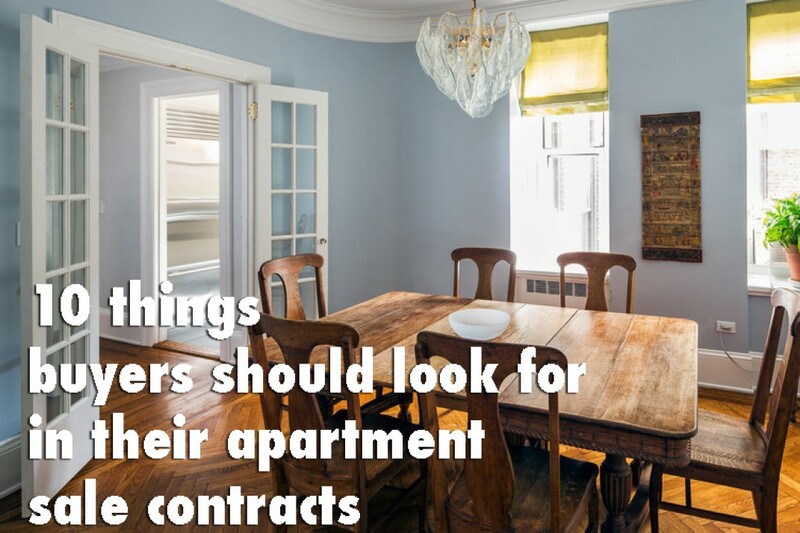 You've found an apartment you want to buy—yay! In this inventory-challenged real estate market, that's a feat. But short of forcing a seller to take a lie detector test, what can you do to get the full picture of an apartment's drawbacks before you go into contract? While the working appliance rep is standard, there are many other, more unusual clauses covering a slew of situations you might not always think to bring up. We spoke with real estate lawyers—who are responsible for drawing up the contract, including the reps—to determine which ones you need to know about before you do something you may regret. Bed bugs: These critters are many New Yorkers’ worst nightmare—they bite, they spread rapidly between apartments, and they can be expensive to exterminate, with treatments that can cost thousands of dollars. Before you sign on the dotted line, you should make sure that the seller reps that he hasn’t seen bed bugs in the apartment (or the building if he claims to know about the building-wide situation) in the last 12 to 24 months. In addition, it’s also important to find out if the building has a program in place to deal with these parasites quickly and decisively if they do become a problem in the future, notes real estate attorney Jerry M. Feeney. Offensive odors: The seller should affirm both that he hasn’t been subjected to the stench of the upstairs resident’s stinky cigars or the next-door neighbor’s garlic-heavy meals and that he hasn’t complained to management about it. This one’s subjective, though. “What smells delicious to one person can be nauseating to another,” explains Feeney. Mold: “Has the seller made any complaints about a mold infestation in the last two years?” or has he noticed the presence of mold, asks Rachel M. Kleiman, a real estate attorney with Braverman Greenspun. Even if the seller insists that he hasn’t observed any mold in the apartment, she advises looking around—specifically in damp places like bathrooms or anywhere there’s seen water damage—to see if any mold is observable to the naked eye. Rodents: The seller reps that he hasn’t caught any glimpses of mice or rats (or observed any evidence of them, such as droppings) in the apartment in the last 12 to 24 months. Feeney advises buyers not get a false sense of security, "Just because the current owner hasn’t seen a mouse in over a year doesn’t mean there aren’t any,” he says. Talk to the super. If any rodent activity is detected once the buyer moves in, find out what measures are in place to control them. Is there an exterminator on call to deal with such situations? Recent deaths: Some buyers are so superstitious that they won’t even consider buying a place where anyone breathed his last breath, Feeney says. This one’s tough, though: “You can always Google the address to find out if there was a notorious homicide there, but how do you really know if a previous owner passed away in his or her sleep 50 years ago? You don’t," he says. 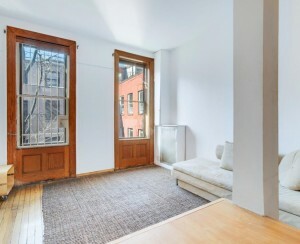 The seller can, however, confirm that no one expired there during his tenure in the apartment. Leaks: Have there been any leaks or other severe plumbing issues in the last couple of years—originating in this apartment or an adjoining unit? Water damage can be serious business, with long-lasting consequences that can be a pain to deal with year after year. It’s very important that the seller confirms that the dwelling is leak-free. Lawsuits: The seller affirms that he is not involved in any litigation that could involve the apartment, such as bankruptcy proceedings or a lawsuit from someone injured there, and that he isn’t being sued for nonpayment of his mortgage by the bank. “You don’t want to get involved in that kind of deal,” says Feeney. You could wind up on the hook. Lack of heat or hot water: Have there been recent instances when the heat or hot water failed? After this past winter's polar vortex, you definitely don’t want to move into an apartment that has a higher potential of transforming into a frozen tundra. Co-op board disputes: The seller reps that he doesn’t have any ongoing clashes with the co-op board or another shareholder. For example, say there’s a paper trail documenting the seller’s repeated complaints about the noisy elevator next door or constant leaking in the apartment or repeated run-ins with an obnoxious neighbor, you'd definitely want to know about any of that before moving in. “For all you know, the seller could be exiting a mess only to insert you into that mess,” says Feeney. If your seller hesitates or flat out refuses to make these kinds of a promises, that's a pretty big indicator that something's amiss, and you may want to reconsider the purchase, or at least the price. Similarly, if you find out before the closing that the seller is lying, you can demand that he or she correct the situation immediately or simply back out of the deal. After closing, things get a little trickier—since many of the technical terms of buyers’ contracts don’t survive the closing process—but you can sue the seller for fraud.